Long. Really looooooong. That's how I felt when I saw this book and it came as a surprise package. I have to agree this is heady stuff. Coming from a background in history with special interests in architecture, especially Hindu and Mughal aerial topography, I have found this interesting. To put into perspective, this is a combination of history meets crime meets bollywood meets murder meets emotional atyachar meets chemistry meets carbon dating meets snake charmer meets communal riots meets reality of life in India meets unity meets sincerity! But for a change I kind of liked it! Here is how the story goes. 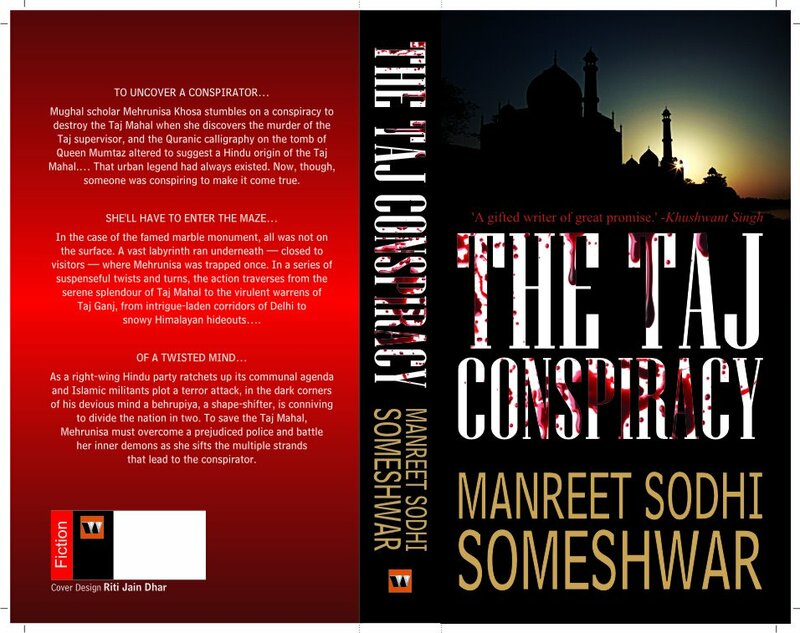 A dead body is discovered by Mehr, a Katrina Kaif styled history loving, Indian origin NRI who comes to India in search of her roots and finds herself entangled into the exploding story of communal riots and how some elements play the cards to fight it out for the Taj Mahal and the Shiva temple in the same structure. In the process she meets, archaeologists, fanatics, survives several murder attempts, meets police officers, has close encounters with her own ghouls and goes through what we can call a bollywood style chasing sequence with mysteries all around. It is an exciting journey to follow Mehr and try to understand why we need to accept the reality of History and move on with a wider all accepting view. In between you find yourself transported on a lesson in linguistics and calligraphy, to a cave in Kashmir and enter in to the minds of criminal eradicating pest-control mode of policing by Pratap and SSP Raghav who are true in their spirit and passion but have different styles. Sprinkle in some onion sautéing and old monk fueled revelry and a delirious liking for the dead bodies and how they are treated. You would need to find time and effort to follow the actual plot of declaring Taj as a Shiva temple and different pieces in the puzzle to make sense. How Mehr, aided by her two police friends solves the mystery and comes to a close shaving climax where she is rescued by the hero is very entertaining to read. I liked the small chapter style and a matter of fact reporting with importance on food, moments that can get missed in a blink, action, in fact well packed action and the depth of knowledge in the author, especially when treating architecture and mystery. This is beautifully handled and woven into the story. Though it can be slightly cut short, may be by 50-60 pages, I think it is ok as long as the reader doesn’t get bored. The book made me go back to my college days where we used to spend hours discussing the differences in the temple architectures and the materials used and what was the reason. To summarize, this is folklore + action + local detective + politics served with hot masala chai for you. What is missing is sugar, but isn’t that the way SSP Raghav likes it? Interesting review. But why such a low rating? We felt this book deserves a special treatment, so we created a video review. Manpreet had asked me the same question and this was my reply. I could see a lot of potential and the chase was perfect and could me much much better. So as to say, I am waiting for her third book! Just read 7 pages and was taken back to The DaVinci Code days .. its a desi version i felt but the narration is exclnt, very literal..